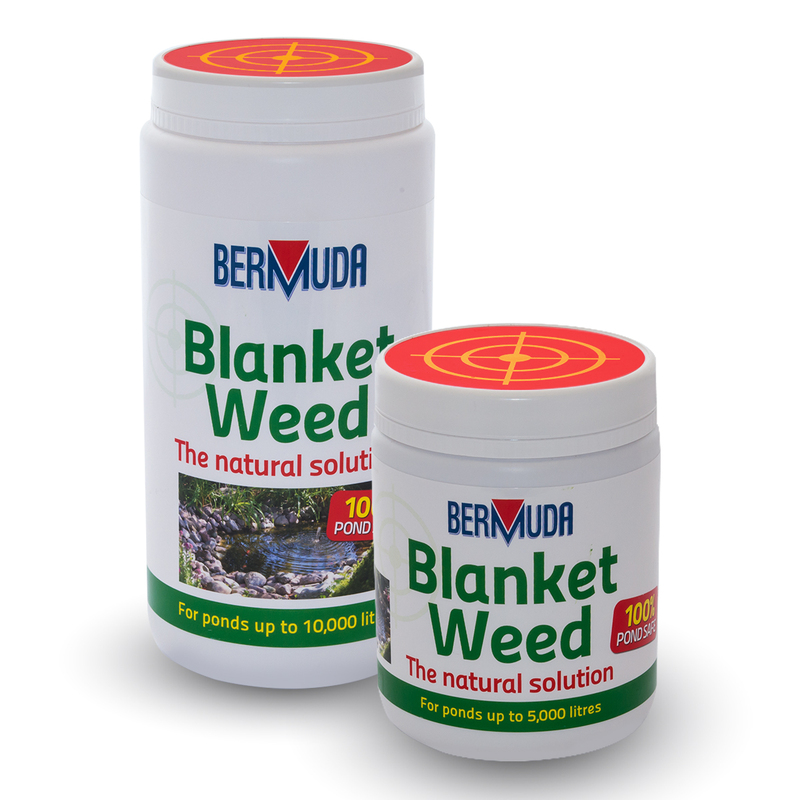 Evolution Aqua introduce a new range of Bermuda BlanketWeed Treatments, a natural solution to combat algae on the pond surface. 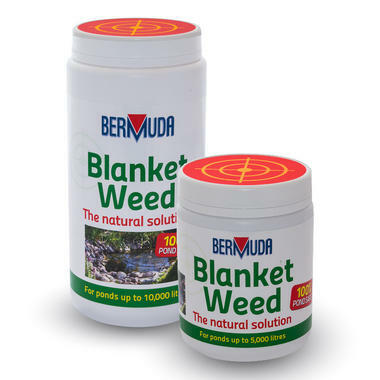 The Bermuda Blanketweed Treatment is a simple to use powder based solution that is 100% fish, plant and wildlife safe. 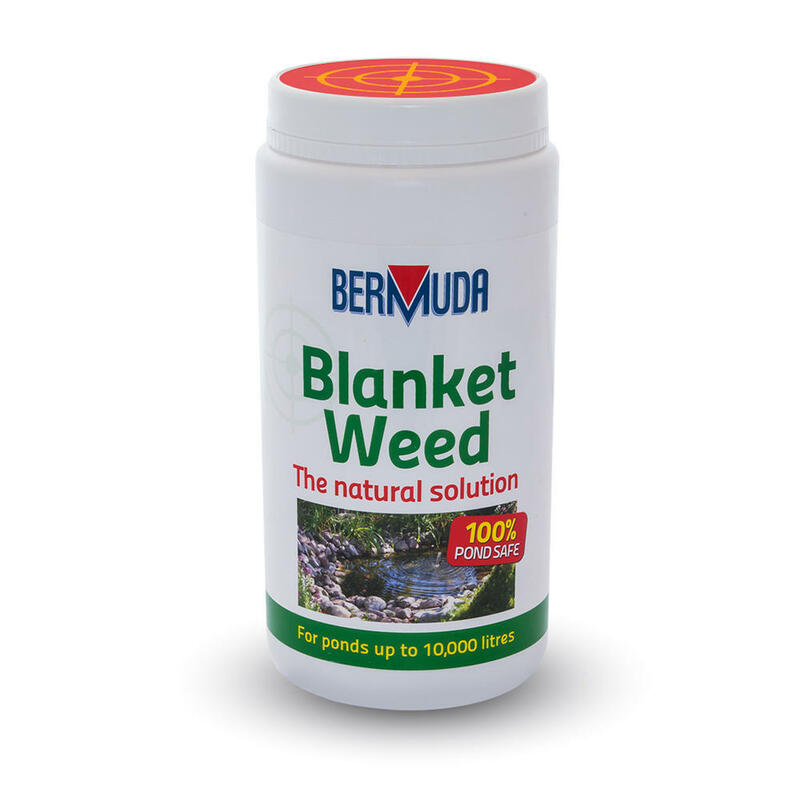 The special formula of the treatment has been developed to work quickly in the pond without causing a negative effect on biological filters, established bacteria and UV clarifiers. Unlike other products on the market, all equipment can be kept on when the treatment is added to the pond. 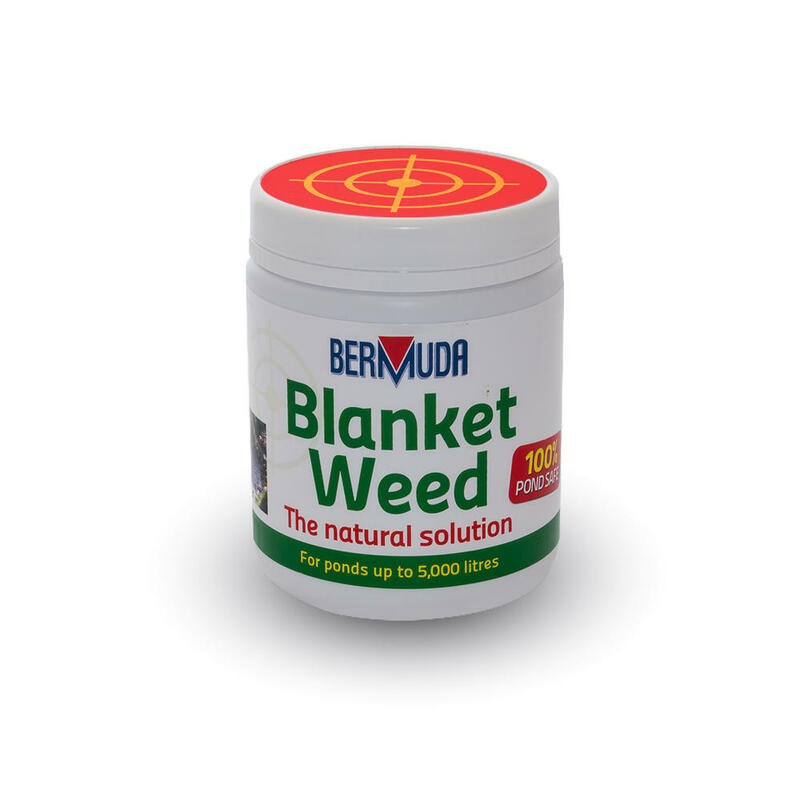 The Blanketweed treatment is easy to use, simply add one scoop of powder per 400 litres of the pond water volume to a watering can, fill up the rest of the can with some pond water and then sprinkle the solution on the pond surface. Add one scoop of powder per 400 litres of pond volume to a watering can eg if pond is 1200 litres use 3 scoops, then fill the can with pond water. Sprinkle over top of the pond surface. The pond will turn white and cloudy for up to 5 days, positive effects should be seen from 10 -14 days. Repeat after 14 days if needed. Do not overdose.